Saving money on a new Volvo in Pennsylvania is simple. The first step is to research the Car model of interest and identify any other vehicle of interest. You’ll receive Car price quotes from Pennsylvania Car dealers. Simply compare prices to find the best Car prices in Pennsylvania. The Volvo XC60 comes in three basic trim levels with a selection of three engine options. All three drivetrains make use of a 2.0L turbocharged engine that also has a supercharger on it. Such arrangements are rare, but do offer the benefit of extremely smooth power across the entire rev range, along with surprisingly good power from such a small engine. The XC60 T5 offers 250 horsepower and up to 28 mpg on the highway. The more powerful T6 engine option bumps power up to 316 horsepower while only compromising highway mileage by 1 mpg. At the top of the drivetrain ladder sits the gasoline-electric hybrid T8 with 400 hp and the ability to hit 26 mpg on the highway. Acceleration ranges from good with the T5 to blistering for the T8, and all XC60s come standard with all-wheel drive. 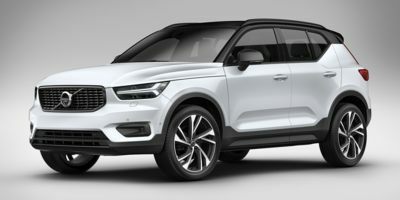 The most basic trim level for the XC60 is the Momentum trim, which comes well-equipped with standard features that incude 18-inch alloy wheels, silver roof rails, LED headlights, a panoramic sunroof with a power sunshade, 2-zone climate control, leather seating surfaces, a 10-way power front driver's seat, Bluetooth, SiriusXM Satellite Radio, Apple CarPlay, Android Auto and a 10-speaker 330-watt sound system. Safety features are plentiful and include a hill-start assist system, hill descent control, tons of airbags, a lane-keeping aid and an Oncoming Lane Mitigation feature. The last two making use of Volvo's new Steer Assist system, which will actively steer the car out of danger when necessary. 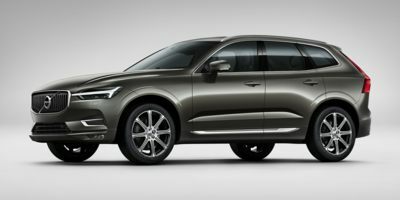 The midlevel trim for the XC60 is dubbed 'R-Design' and features bold styling details meant to make the XC60 look just sleeker and a sportier. The R-Design includes a unique front grille, mesh metal inlays, 19-inch wheels, a painted bumper and color coordinated side sills, dual tailpipes and puddle lamps. Inside, there are various R-design badges and a very nice R-design steering wheel to grip. The R-Design also gets several drive mode settings for increasing the sportiness of the vehicle on twisty country roads or a race track. The Inscription trim is priced fairly similarly to the R-Design, but where the R-Design goes for sport, the Inscription goes for luxury. The Inscription features more exterior brightwork than its siblings, along with a unique mesh front grille. Inside, the Inscription gets a 4-zone climate control system, nicer seats and driftwood inlays, adding a touch of class to the interior of the mid-sized SUV. 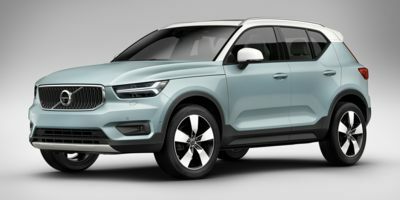 Compare Pennsylvania Volvo prices. 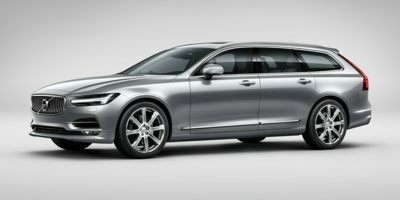 Get free price quotes for any Volvo in Pennsylvania. See the invoice price, MSRP price, and clearance prices for all vehicles. Save big when Pennsylvania Volvo dealerships compete on price. Compare Volvo prices, pictures, reviews, local rebates and incentives, and more. View all used vehicles for sale in Pennsylvania. Compare used Volvo vehicles and get the best deal in Pennsylvania. See prices, pictures, vehicle specs and everything you need to get the best deal on a used Volvo. Bad credit auto loans and good credit auto loans for a new or used Volvo in Pennsylvania. Compare current auto financing rates and get approved before you go to the dealership. We can get financing for nearly all new or used Volvo buyers in Pennsylvania. Get a free auto loan quote today. Compare auto insurance rates from top lenders. Get the lowest monthly payment on a new or used Volvo in Pennsylvania. With free Volvo insurance quotes, you can save money regardless of driving history.